In honor of Valentine’s weekend (hint, hint if you have forgotten), ladies everywhere only wish they were this lucky. I would die. Categories: Fabulous Friday | Tags: candy, channing tatum, jimmy kimmel, Valentine's | Permalink. I always feel crafty around the holidays but I like to make things that I’ll actually use or display for at least a few years. I’ve been in need of a way to display holiday cards and had seen these all over Pinterest the past few years. It seemed easy enough so I hit up Michaels and Amazon (because as much as I love Michaels, they just don’t always have everything; and because Amazon Prime….) and put it together over two evenings (maybe 2 hours total? 2.5 max). It honestly was SO easy that I wasn’t planning on posting it, but then I thought better. So sorry for process shots – but I think you can get it. Paint the wreath and/or clothes pins if you want. I didn’t – the wreath is already green and I bought colored clothes pins. Clip on clothes pins so that it opens toward the outside. I alternated colors leaving 2-3 fingers-width in between each. Cut ribbons into pieces and tie onto middle two rings of the wreath. 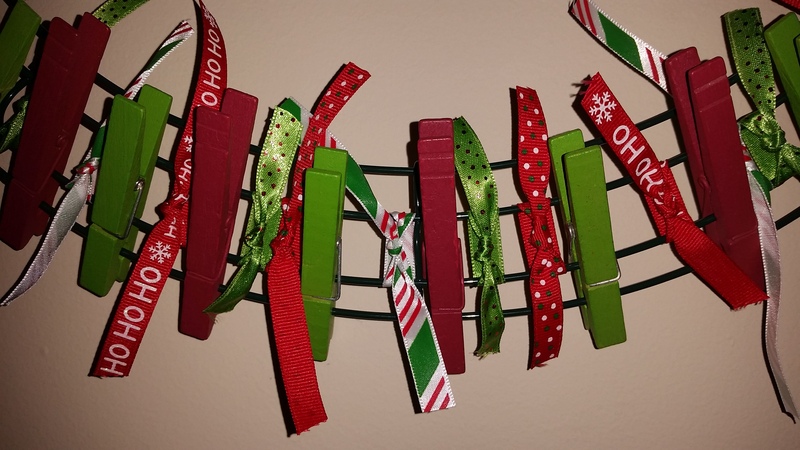 I started with one ribbon in between each clothespin. Then filled in with a second ribbon in between some clothes pins. I would have done 2 in between every clothes pin but the ribbon didn’t quit make it that far. Hang it! I used a wider Christmasy ribbon to hang it with. Categories: Fabulous Friday | Tags: Christmas, crafts, wreath | Permalink. If this doesn’t make your day you’re not human. Happy Friday!! Categories: Fabulous Friday | Tags: animals, elephants, houston zoo | Permalink.